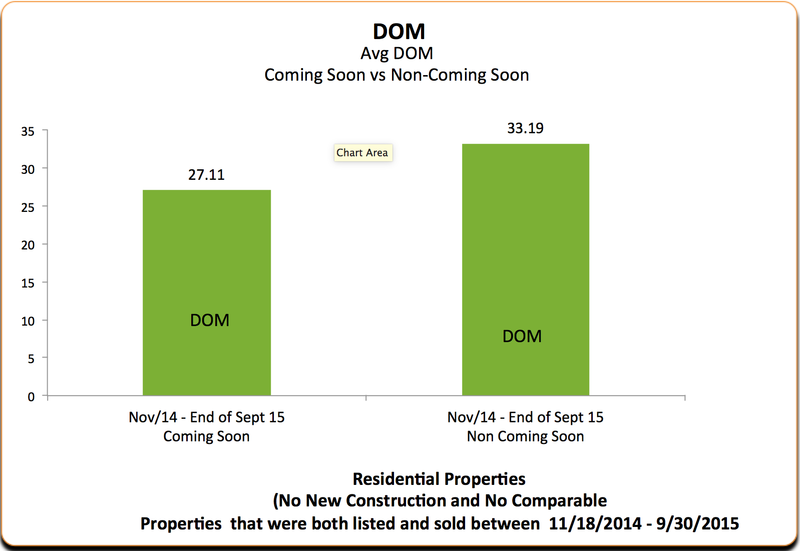 Data suggests marketing properties as "coming soon" before listing them in the MLS can reduce their time on market. The data comes from platform for marketing homes off the MLS and an MLS that introduced a "coming soon" listing status in late 2014. Agents who market properties off the MLS should be aware of MLS rules that may restrict the practice. Amanda McMillan, an agent team leader at Chicago-based @properties, says one of the reasons she sells properties faster than some other agents is that she aggressively markets her listings as “coming soon” to other agents before entering them into the MLS. Recent data provided to Inman from a platform for marketing homes off the MLS and a major MLS that offers a “coming soon” status suggest that other agents who properties as coming soon are having similar success. The data shows that properties marketed as “coming soon” before being listed in the multiple listing service (MLS) tend to sell faster than MLS listings that never receive “coming soon” promotion. Coming soon listings are properties that are scheduled to be listed as “active” in the MLS but are first marketed as “coming soon.” Pocket listings are listings that are withheld indefinitely from the MLS, often for privacy reasons. Pocket listings are much less likely to appear on platforms designed for marketing properties off the MLS, according to the data provided to Inman. The first dataset was provided by offMLS, one of several marketing channels used by McMillan to share coming soon listings with other agents. Similar marketing channels to offMLS, which also accepts pocket listings, include Top Agent Network, also used by McMillan, plus HipPocketz and Prevali. Not all MLS policies accommodate “coming soon” listings, however. From early December 2014 through mid-October, 173 Chicago homes that were first posted in offMLS and were then later listed in the local MLS spent an average of 28 days listed as “active” in the local MLS before going under contract, according to Bob Safranski, CEO of offMLS. That’s 14 days less than the average number of days — 42 — that Chicago listings in the same ZIP codes as the offMLS properties stayed in the local MLS during the same period before going under contract, according to Safranski. Safranski’s analysis looked at attached and detached single-family homes listed in the Chicago-area MLS, Midwest Real Estate Data (MRED), that were priced between $125,000 and $1.6 million and located in the same ZIP codes as offMLS listings of the same property types and price range. The average list price for offMLS properties used in the analysis was $503,000, while the average list price for all MLS listings used in the analysis was $423,000. The analysis did not scientifically control for variables like property type and price. Properties stayed on offMLS for an average of 21 days before they were listed in MRED. During the period that properties are posted in offMLS, agents can choose to not allow showings — not typically the case with properties listed on MLSs. offMLS has close to 700 members in the Chicagoland area and recently expanded to Denver, Safranski said. offMLS’s analysis provides “compelling … evidence of the value of pre-MLS marketing on offMLS,” Safranski said. Nonetheless, Chicago-area agents should be aware that, like members of many MLSs, they are required to obtain written permission from sellers to withhold for-sale properties from the local MLS for longer than a certain period of time after signing a listing contract. In MRED’s case, the time limit is 72 hours. McMillan said she never has to worry about breaking this rule because every listing agreement she signs with a client specifies when the property is scheduled to list in the MLS. She added that she only shows properties after listing them in the MLS, not while marketing them as “coming soon.” Forty-eight to 72 hours is the sweet spot for marketing “coming soon” listings because buyers might lose interest if they can’t see a property marketed for sale for more than three days, she said. McMillan gives other agents the inside scoop on her “coming soon” listings through email campaigns, her brokerage’s communication platform (powered by the startup Yapmo), and two marketing channels for unlisted properties, offMLS and Top Agent Network. Agents who cannot provide MRED with written approval from a seller after withholding the seller’s property from MRED for more than 72 hours can face a fine of $1,000 — though MRED has never levied such a penalty so far, said Jeff Lasky, vice president of MRED. Lasky noted that the speed with which properties sell varies by market, and he questioned whether offMLS’s analysis uses a large enough sample of listings. But Lasky added that MRED is considering providing a way for agents to market listings before listing them as “active” in the MLS. Options include creating a private network or adding new listing fields or a new listing status, he added. The Metropolitan Regional Information Systems (MRIS), an MLS covering the Mid-Atlantic region with over 40,000 members, has been experimenting with the last option, introducing “coming soon” listing status in late 2014. Like offMLS, MRIS has found that listings promoted as “coming soon” seem to sell faster. The average “days on market” for properties that originally listed with “coming soon” status in MRIS was 27 days, compared with 33 days for properties that originally listed with “active” status in MRIS. MRIS defines days on market as the amount of time from when a property lists in the MLS until when the property goes under contract. MRIS introduced “coming soon” listings in response to the growing number of agents “restricting market activity” by marketing listings off the MLS to small online communities, said Jonathan Hill, vice president of communications at MRIS. By listing properties as “coming soon” in MRIS rather than, say, only posting them to a Facebook group, agents can maximize the exposure of properties before they’re ready to be marketed publicly, Hill said. 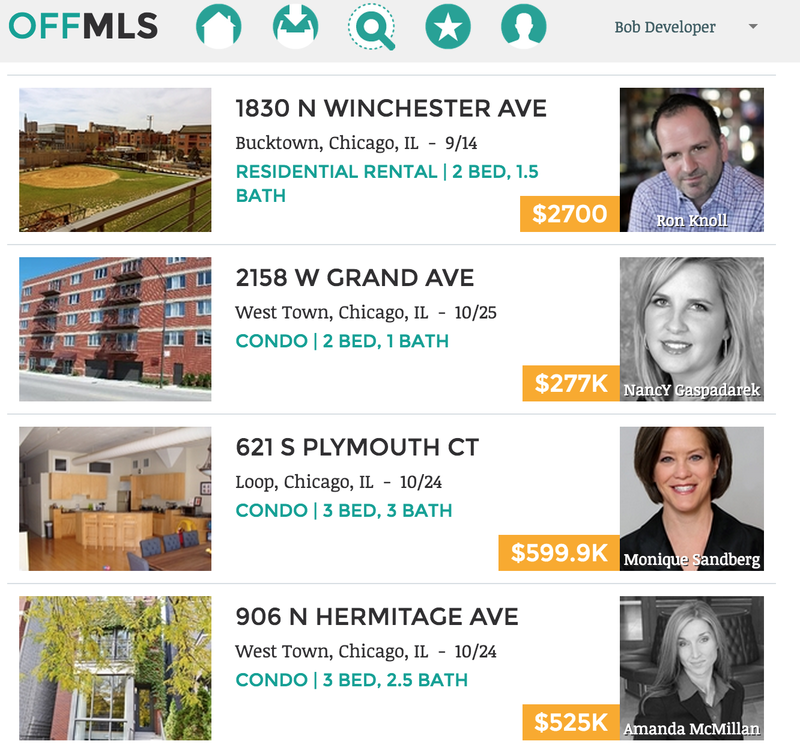 Like offMLS listings, MRIS’s coming soon listings aren’t syndicated to public-facing websites. They’re only supposed to be available to real estate professionals. Like MRED, MRIS requires agents to secure written approval from their clients to hold a home off the MLS. MRIS’s time limit is 48 hours, excluding weekends and holidays. Down with portals -- what's up with that?